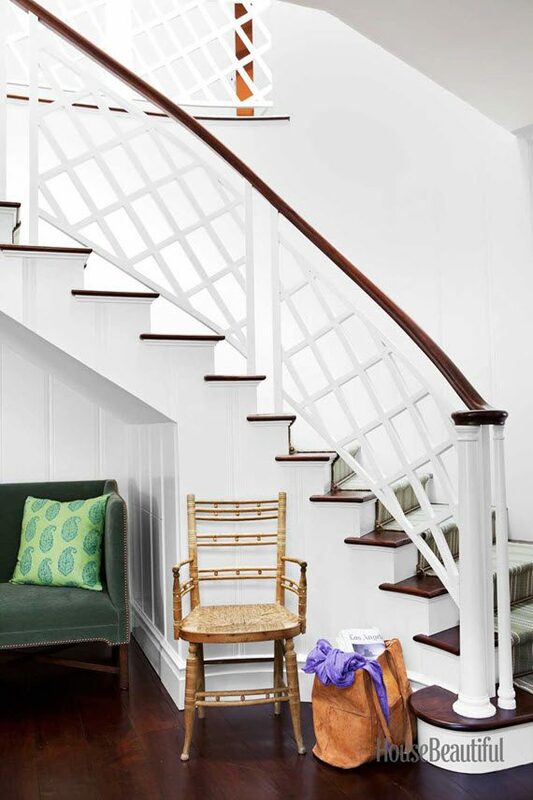 How darling is this painted stairwell with chic lucite handrail? 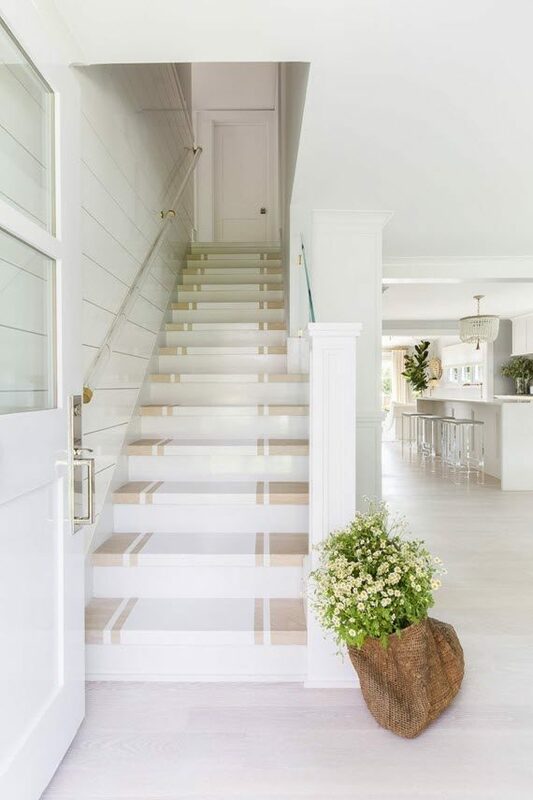 It’s in a gorgeous Cape Cod home designed by Raquel Garcia and featured in Elle Decor. 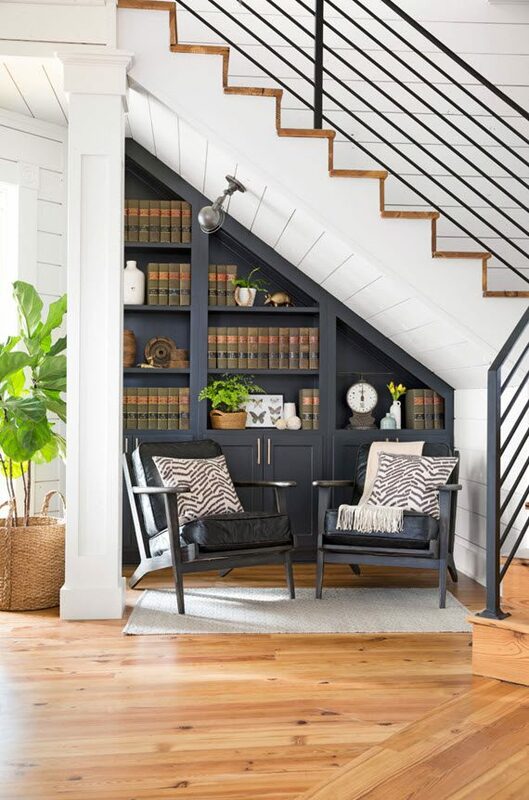 The space had me thinking beautiful staircases and how they can make such powerful architectural and design statements. 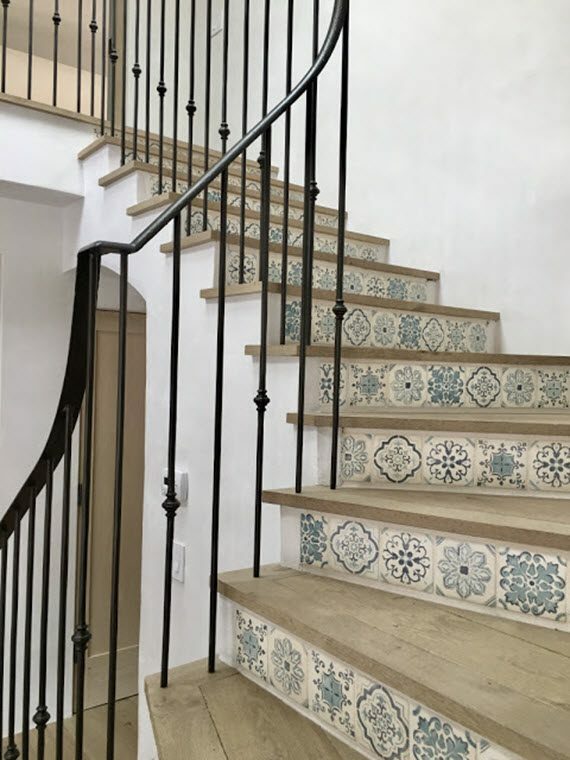 In our own home which I shared on Instagram, I added decorative cement tiles and gray paint to give a small stairwell leading to our mudroom a fresh look. 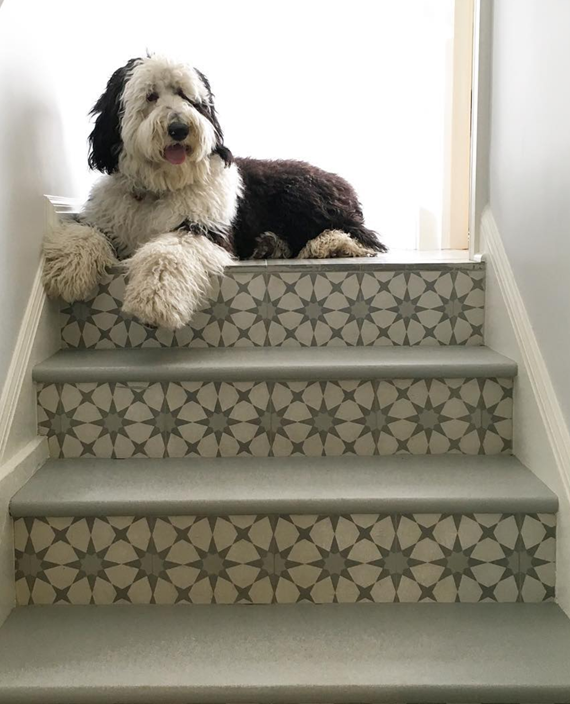 Dino our Sheepadoodle puppy loves it too! 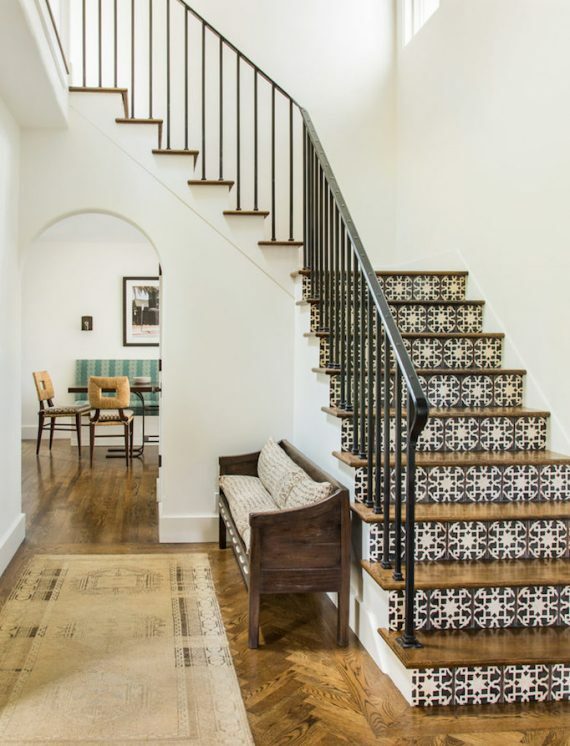 To kick off the weekend, I’ve rounded-up a variety of staircases featuring runners with bold patterns, tiles with ethic touches and handrails with artistic style. 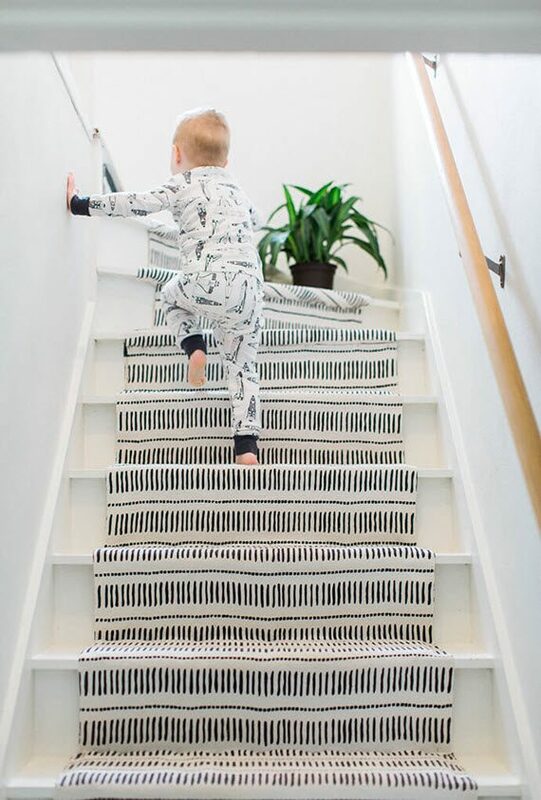 You might notice one that looks familiar too – it’s another staircase in our home that I’ve talked about before. Can you pick it out? Fun News! This little old blog was also nominated for Amara’s interior design blog award… you can vote here. Thanks so much for your support! 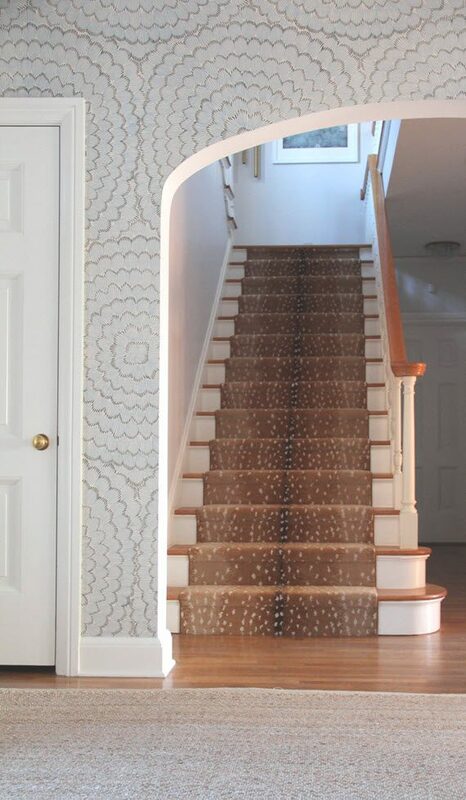 I just love a well design staircase. Thanks for sharing all this beautiful inspiration! All looks great but the one with the tiles is my favourite. I just love it! It’s very boho and interesting design. 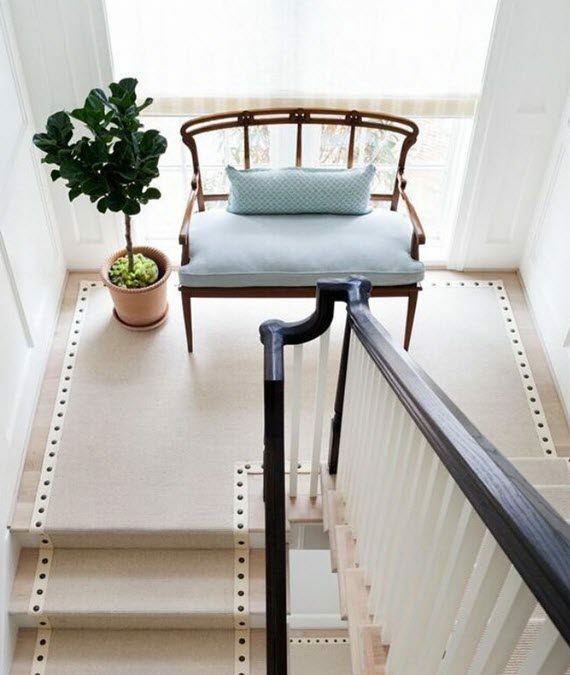 Love those staircases. Amazing design.